Two days of hands-on learning about educational technology. Learn about AR & VR, video and podcast production, digital portfolios, and much more. July 15th & 16th in Bethel, Maine. Come and learn how to use technology to create engaging learning experiences. The Practical Ed Tech Summer Camp is a hands-on learning experience. Join me, Richard Byrne, this summer at the historic Bethel Inn & Resort in Maine for two days of exploring great uses of educational technology. This year’s Practical Ed Tech Summer Camp will be full of new things that all K-12 educators can use. The Practical Ed Tech Summer Camp is a hands-on exploration of how to use educational technology in your classroom. This two day workshop is based on my framework for using technology to help students discover new information, discuss their ideas, and demonstrate their knowledge. Registration is capped at 25 registrants so that all participants get the attention they need. First of all, THANK YOU for a wonderful class at Sunday River. On the first day, I said that I wanted to learn ways to stay organized and sane while teaching computer skills to 500 middle school students per week. I left your class with a new outlook and a new set of tools that will help me in the fall. Thanks again for a fabulous conference! I've got so many great new tools to take back to my classroom that I've had to start a doc to jot all the lesson ideas so I won't forget any of them! Agenda: What's On The Schedule? The two day workshop is based on my framework of Discovery, Discussion, and Demonstration. The first day is focused on helping students use technology for discovery and discussion. Day one includes learning about augmented reality and virtual reality, developing interesting search lessons, and creating fun formative assessments. Day two is focused on demonstrating knowledge by creating new digital content including podcasts, videos, and other multimedia productions. We'll take advantage of our location and get outside for part of each day too (weather permitting). 8am-4pm: Same format as the 15th. Breakfast and lunch provided. Those who are so inclined can join a group trail run or bike ride on either evening. And don't forget to ask Bethel Inn & Resort about tee-times. I am best known for my award-winning blog, Free Technology for Teachers. I am a Google Certified Teacher who has been invited to speak at events on six continents and I’d gladly speak in Antarctica. Today, my primary occupation is writing, speaking, and teaching teachers how to use technology in their classrooms. Prior to that I was a full-time high school social studies teacher. I’m Dad to two little girls, a dog-lover (#adoptdontshop), a fly fisherman, a cyclist (road and mountain), an occasional trail runner, and I drink more than coffee than I should. The historic Bethel Inn & Resort is in Bethel, Maine. Bethel is the hub of recreation in western Maine. 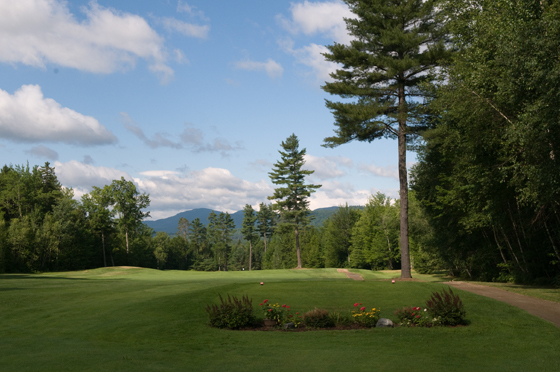 Within walking distance of your room at the inn you can golf, take a nature walk, mountain bike, or swim. Venture 5-10 miles away and you can be in the White Mountain Forest, fly fishing, or taking pictures of one of Maine's iconic moose. Want something a little less outdoorsy? The resort offers spa services and it is in walking distance of cute shops and restaurants. Super early registration (available until midnight on February 28th) is only $377/person (early registration price only valid for registrations completed and paid online). Early registration (available until March 31) is $397/person. Group discounts are available to those registering five or more from the same school district. Email richard (at) byrne.media for more information. Two days of hands-on learning that will benefit you and your students! Breakfast, snacks, and lunches are included for both days.Hotel accommodations and dinners are not included in registration. While the Bethel Inn & Resort is in a beautiful location, it is about an hour’s drive from the Portland airport. I recommend renting a car if you are flying to Maine. The Portland International Jetport (PWM) is serviced by Delta, United, Jetblue, Frontier, Southwest, and American Airways. Take a drive through Grafton Notch State Park (10 miles from the resort) in the evening and you have a good chance of seeing one or two. (Years ago I actually saw 16 in one evening in Grafton Notch). What can my spouse or kids do during the day? The resort itself offers an 18 hour golf course, walking and biking paths, swimming, and spa services. There are outfitters in town who are happy to provide canoe and kayak rentals and shuttle service so you can explore the Androscoggin River that flows through town.